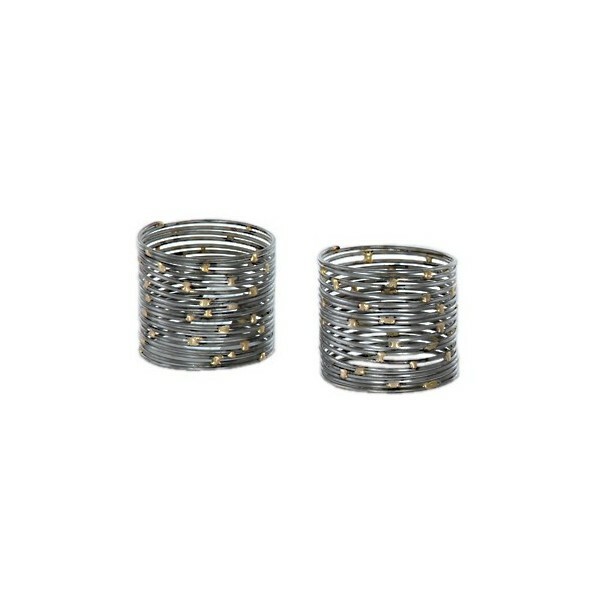 Pair of elegant metal pewter coloured napkin rings with brass coloured dots. Order as any pairs as you have place settings so that you can cater for everyone at your dining table. These unusual napkin rings will suit any dining occasion. 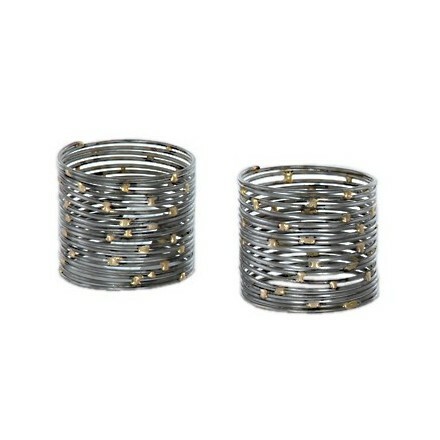 Use them to add a spash of metallic elegance to your table. Ideal as housewarming gift or wedding present?